I can’t believe that next week this time we will be back in Hong Kong. I also can’t believe another milestone in my blogging carrier – over 3 MILLION views! You’re the best guys. Because of this, I organized a small giveaway. You may heard about it in our recent vlog ‘3 million views giveaway, planning for Hong Kong and hiking’. If not, click here or below! I love Sing and ‘God of Gambler’ intro. I promised to publish the details on my blog so here they are! I wish I could give you all a gift for being with us and supporting our work. Some of you may even been following me since the beginning! I originally planned just to have one winner, but I at the end of the day you are the one for whom I keep on writing so I want to give you back what you gave to us. 3 winners will be chosen – one from the comments on our YouTube, one from the comments on our blog and one more from the comments on our Instagram. Sing will be choosing them the way he wants as I may recognize some of you. He may choose you through a program or just by your nickname. The winners will be chosen on 30th of October, a week after our trip. What can you win? The most Hong Kong comic book – ‘Old Master Q’, one of Hong Kong sweets and a Guinness flavored chocolate. What you need to do? All you have to do is write in the comments section below/in the vlog above/anywhere on my Instagram account (www.instagram.com/myhongkonghusband) that you want to win! That’s it. You don’t need to share this post with your neighbors and family. It is my ‘Thank you’, not a self-promotion. Everyone can participate, prizes will be sent at our cost to anywhere the winners live – I will announce the lucky ones on our social media so stay tuned! If you have any questions, feel free to ask! I hope I covered everything! As for our planning our Hong Kong/Japan trip – this time I want to bring you a different Hong Kong. More local, show you some of the memories Sing and I have. Two weeks is definitely not enough to show you all the things happening in Hong Kong, but I’m glad I can bring a little bit of it to you! If you have any ideas, don’t hesitate! If you see us in Hong Kong/Tokyo, between 10th and 22nd of October, don’t hesitate to come and say ‘Hi’. It will be a pleasure to meet you face to face! Hope you will participate in our giveaway, let us know if you’re in and if you have any ideas what you want us to show you in Hong Kong – write it below! See you all back on 24th of October! thank you so much! I know it’s insane! can’t believe this 🙂 ohh thank you so much! I hate my voice, I sound like Janice from Friends haha especially with stuffed nose, my allergy is killing me! If there is a sweet involved, then of course I want to win. 🙂 Andy, though, is rooting for anything Guinness-flavored. Congrats on your 3 million views and your upcoming trip! Enjoy your best city (with benefits). And we noticed your participation :D! Have a great trip. 😉 Vampire Café in Akiba? I’ll be mostly visiting grandma and some KungFu schools with my “avocado at law” Irish 🇮🇪 friend. if you do, don’t hesitate to come and say hi! I think it’s adorable that you’re a fan of Old Master Q. It’s a comic I grew up on and, having questioned its appropriateness for the modern age, have recently rediscovered a love for. 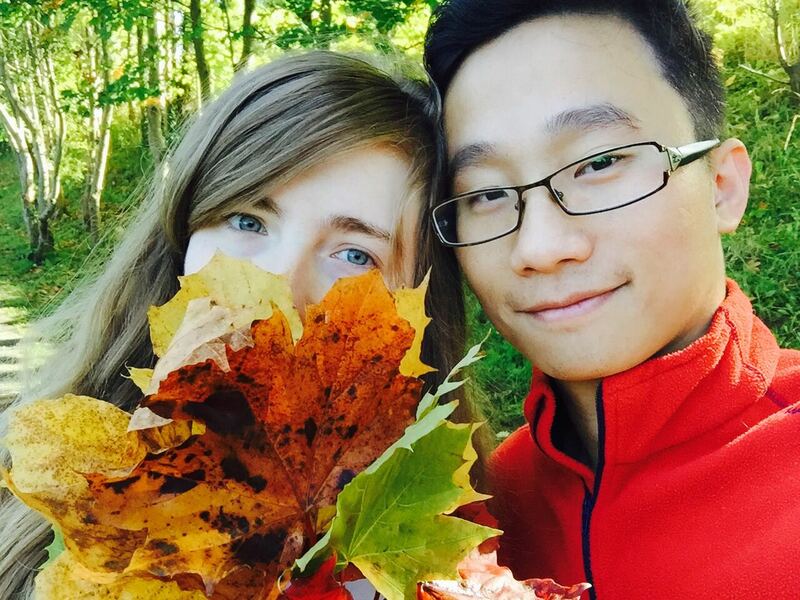 Congratulations on making three million views – you two are a ridiculously cute couple. I like the sense of humor of Old Master Q! thank you so much for your kind comment! Have fun in Hong Kong and Tokyo!! Only 2 days in Tokyo? maybe you should try this 88 things to do in tokyo? Hi Lina, many many congratulations on reaching 3 millions views.I love watching your vlogs.Enjoy your trip.I am home now as it is festival season in India 😃 and reading your blog. Plan sometime to visit India if you can. Lastly I would love to receive anything from you two. Congrats on the 3 million views! Another is soon to come. It’s so great that you like my favorite Hong Kong comic, Old Master Q. I’d learnt a lot of Chinese idioms through it. Very funny and educational. Try to kill two birds with one stone. Visit the Ocean Park and experience Hongkongese Halloween there. Wishing you and Sing loads of fun in Hong Kong and Tokyo. I started following your blog about 2 years ago and since then – I keep on reading your posts! It’s a pleasure to read about your life, your adventures and Momzilla! xD I’m wishing you all the best guys!! So glad you got to go back to the city you love!